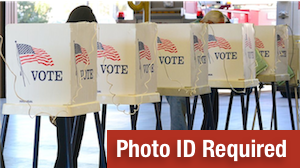 Voter Photo ID in Place This Fall! 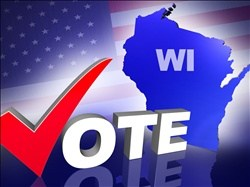 Recent federal court decisions may make it possible for Wisconsinites to be able to cast in-person absentee ballots, earlier than has been the case since 2011, including weekends in some counties. As a result of a court ruling in July, you now only need to have lived at your current address for at least 10 days by Election Day in order to register to vote in that election district or ward. But it seems fairly clear right now that Wisconsin's restrictive voter photo ID law will be in effect this Fall. Photo voter ID presents some particular difficulties for those college and university students who lack a Wisconsin driver's license. 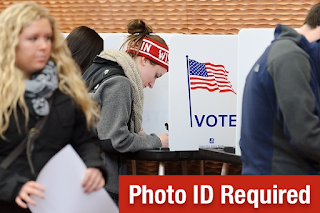 Some colleges and universities already have a student ID that is compliant with Wisconsin law and can be utilized to vote, others offer an alternative school-issued "voter photo ID" that students must proactively request. Still others offer no ID that can be used for voting. We will continually update this site as new information is received or changes. Check back often. And make sure every one you know understands what they need to do in order to vote this Fall. Please feel free to share this information widely! Are You Planning to Vote in Today's Primary Election? Every election matters! Take the time to cast your ballot in today's partisan primary election. 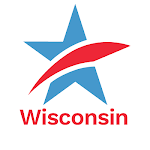 Polling places throughout Wisconsin open at 7:00 AM and close at 8:00 PM. If you're not sure where your polling place is located or need directions to your polling place, go to MyVote.WI.gov, select "Where Do I Vote?" and then enter your home address. You can also select "What's On My Ballot" to see a sample ballot for your city and ward for today's election. Remember, in order for your vote to be counted in the August 9th primary, you MUST present one of the forms of photo identification pictured below. While two recent federal court decisions may have a major, positive impact on the ability of eligible voters to cast a ballot in the November general election and beyond, these court decisions WILL NOT apply to today's primary election. If you do not have, or cannot find one of the required forms of ID for voting, you can cast a "provisional ballot." However, your provisional ballot will only be counted if you either return to the polling place with an acceptable photo ID before the polls close at 8:00 PM OR you present one of the required forms of photo ID to your municipal clerk by 4:00 PM on Friday, August 12th. If you are not already registered to vote, you can register today at your polling place. You'll need to present a proof of residence document in order to register (this document can be shown electronically). Go here to see some examples of acceptable proof of residence documents. Please share this information with family and friends, and be sure to cast your ballot today. Your vote is your voice. Make it heard!